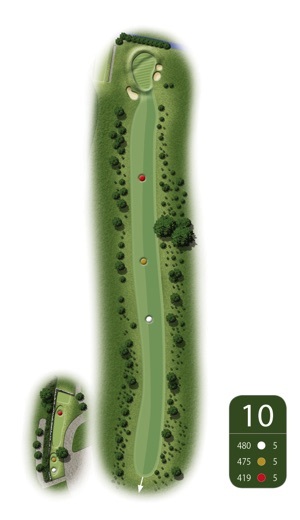 A short Par 5. Just keep to the left of the fairway. A birdie is a good posibility.